Unless you’re musically gifted or very fortunate, many music producers will know all too well the frustration that ensues when it comes time to arrange. If you’re like me, this stage of the process signals the end of that enjoyable period of experimentation, and it’s down to business. It becomes time to turn the idea into a “product”, and with that change in the music producer’s frame of mind can come a lot of pressure, which isn’t great for creativity. Taking your track from a good hook or an interesting loop that you’ve been vibing on for hours and turning it into an engaging, entertaining story on a timeline is easier said than done. It’s difficult for a number of reasons: sometimes the best path from the intro to the peak of the track is not clear, or perhaps the track sounds ‘obvious’ when following the conventions of electronic music, pop music, or whatever the track’s genre. Even when listening to our favourite tracks (which is a great place to start when thinking about how we might like to attack the task of arrangement), sometimes it’s hard to identify what makes it great, and it’s the subtle, unidentifiable changes that give it just enough movement and variety to be interesting. It’s also difficult to teach the ‘how-to’ for arrangement, because there are no hard and fast rules on how it should progress (though there are some common conventions), and there are ‘many ways to skin a cat’. 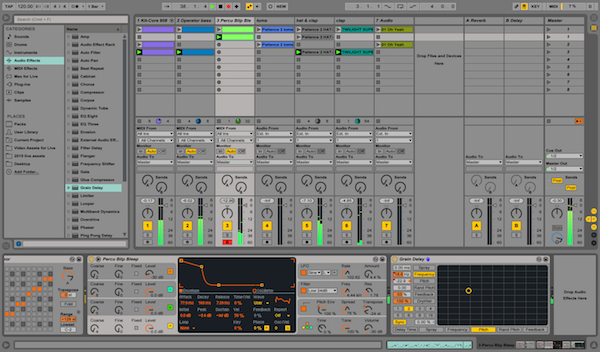 Fortunately, Ableton Live facilitates a number of creative ways to attack this process, and different types of producer will be more attracted to some rather than others. 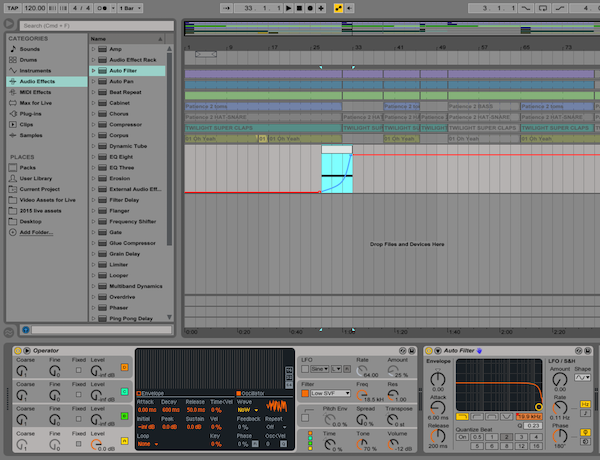 It’s very common to take an idea, slap it in the ‘middle’ of your song’s timeline or at the point where you might like the track to ‘peak’, and then work backwards and forwards to create an intro and outro, with some additional peaks and breaks along the way. If you’re into repetitive music (and let’s face it, repetition is what makes people dance!) an alternative approach might be to spread everything you’ve got across the whole timeline. 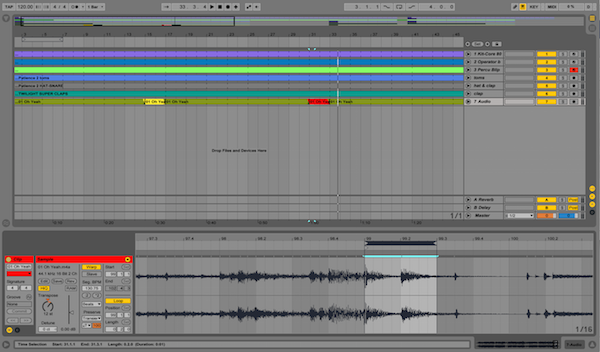 So, if you want your track to be six minutes long, you might lay the ‘hook out for that whole duration, before cutting parts out to create variety. You could also use the above approach to sketch out your main idea, and with the parts of the track in place simply automate the changes between each section. Or, with some clever audio editing, ‘punctuate’ sections of the track differently. For eg. At the end of 4 bars, change the pitch of a sound downwards, then after 8 bars, pitch it up. Some of the most dynamic arrangements can be quite repetitive, but also feature small adjustments that are different each time. If it’s just enough to keep the listener guessing it can’t hurt. 4. Jam from Session View and edit in Arrange View. This is where I get my best results, and it’s FAST! Hit record. Launch any or all clips when it ‘feels right’ and try out some ideas for combining some clips with others. 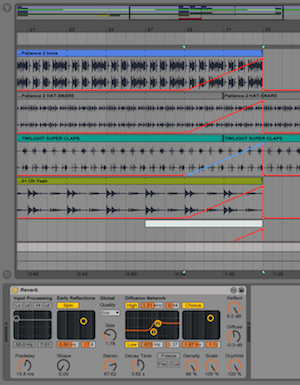 You can make this process more orderly by creating alternate Scenes in Session View. You can make it less orderly (and perhaps stumble upon some accidental magic!) but MIDI Mapping various effect parameters and turning dials and pressing buttons for the duration of your jam session. However you attack it, the process is fast, if a little chaotic. But it’s easier to identify the good and bad aspects of an arrangement when they are laid out in front of you, and it’s much easier to edit something that exists rather than imagining something from scratch. Using a snare drum, for example, you can build intensity by gradually decreasing the time between the introduction of new hits on that instrument, so that soon the repetition is so intense the listener “knows” something big is about to happen. Automate your sends to Return Tracks loaded with enthusiastic effects, then abruptly decrease the send level at the point at which you want to introduce ‘the drop’. 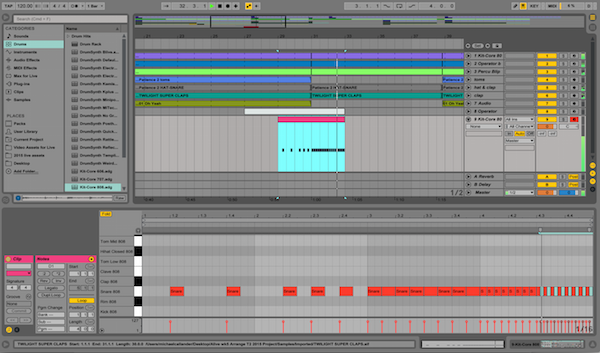 An Ableton Live, 'road map' to assist in the navigation of Ableton Live by Ableton Live certified trainer Mike Callander.